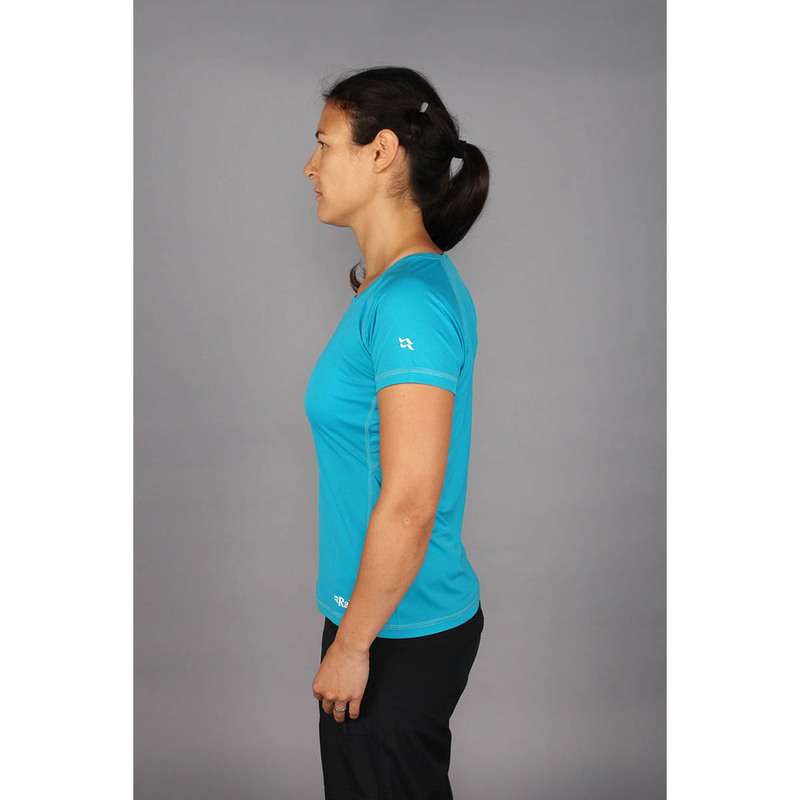 The Rab Interval Women is a lightweight performance t-shirt with anti-odour control. The Polygiene treatment applied to the Rab Interval Women stops bacteria at the source, not only preventing smells but keeping clothes feeling fresher for longer. 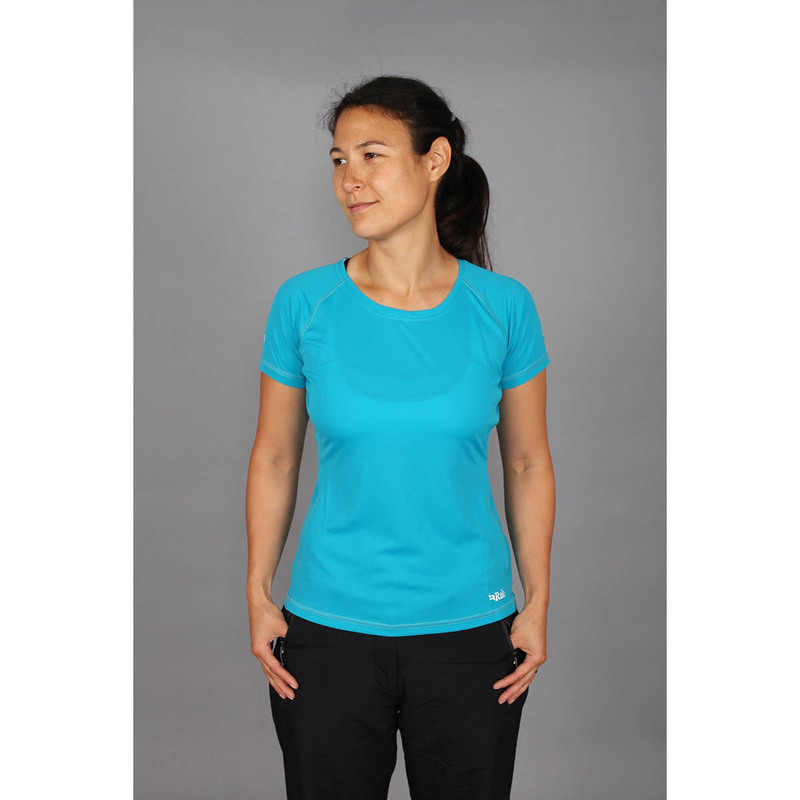 For comfort, rapid wicking technology and a quick-drying fabric keeps skin dry and comfortable during intense activity, and a 35+ UPF rating provides sun protection. Ideal as a baselayer in cold conditions or as a lightweight technical tee in warmer conditions. A very lightweight technical fabric, weighing only 78g/m2. 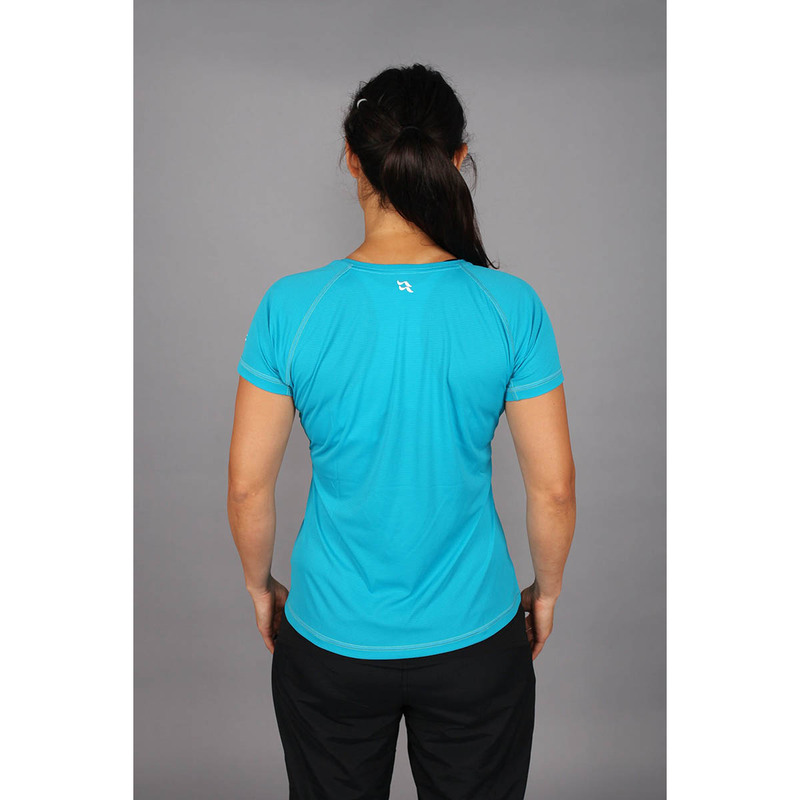 Rapid wicking technology moves moisture off the skin to keep you dry and comfortable when active, and a UPF of 30+ protects against exposure to the sun. Polygiene® is a finish applied to clothes that prevents the growth of odour-causing bacteria and fungi at the source, permanently. Sweat is actually odourless, but when it enters a warm, enclosed environment, it causes odour-causing bacteria and fungi to multiply and grow. Polygiene® uses silver salt (a natural way of inhibiting bacterial growth that’s found in soil and water) to prevent this growth and stop smells at the source. Tested to be skin friendly, Polygiene® maintains freshness for the lifetime of the garment, allowing you to wear clothes for longer without the need to put them through harsh wash cycles that break down their natural fibers.